Playing tennis with friends is fun, but being matched with a skilled tennis partner is even better. 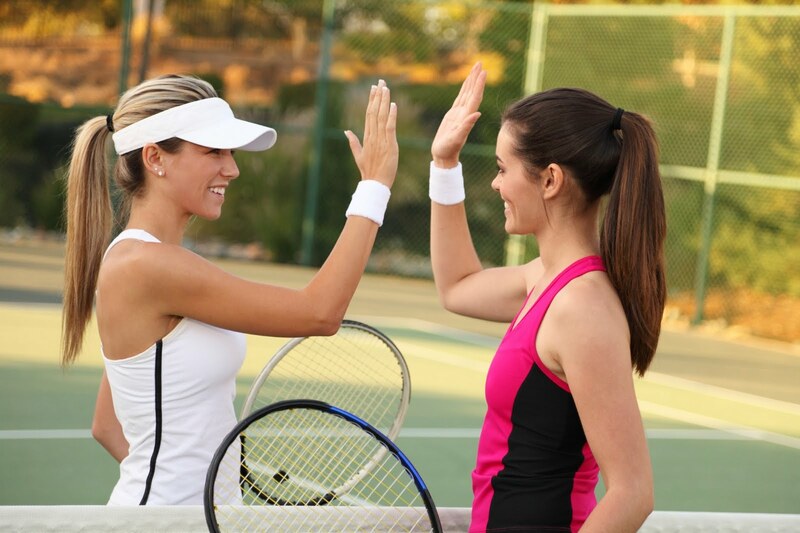 How do you find tennis partners that will make you a better tennis player, and who will also enjoy playing with you as well? Here are some tips. 1.5: A tennis player with limited experience and is still working primarily on getting the ball into play. 2.0: A tennis player that needs on-court experience. This player has obvious stroke weaknesses, but is familiar with basic positions for singles and doubles play. 2.5: A tennis player who is learning to judge where the ball is going although court coverage is weak. 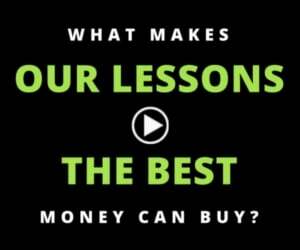 Can sustain a short rally of slow pace with other players of the same ability. 3.0: A tennis player who is fairly consistent when hitting medium paced shorts, but is not comfortable with all strokes and lacks execution when trying for directional control, depth, or power. Most common doubles formation is one-up, one-back. 3.5: A tennis player who has achieved improved stroke dependability with directional control on moderate shots, but still lacks depth and variety. This player exhibits more aggressive net play, has improved court coverage, and is developing teamwork in doubles. 4.0: A tennis player who has dependable strokes, including directional control and depth on both forehand and backhand sides on moderate shots, plus the ability to use lobs, overheads, approach shots and volleys with some success. This player occasionally forces errors when serving. Rallies may be lost due to impatience. Teamwork in doubles is evident. 4.5: A tennis player who has begun to master the use of power and spins and is beginning to handle pace, has sound footwork, can control depth of shots, and is beginning to vary game plan according to opponents. This player can hit first serves with power and accuracy and place the second serve. This player tends to over hit on difficult shots. Aggressive net play is common in doubles. 5.0: A tennis player who has good shot anticipation and frequently has an outstanding shot or attribute around which a game may be structured. This player can regularly hit winners or force errors off of short balls and can put away volleys, can successfully execute lobs, drop shots, half volleys, overhead smashes, and has good depth and spin on most 2nd serves. 5.5: A tennis player who has developed power and/or consistency as a major weapon. This player can vary strategies and styles of play in a competitive situation and hits dependable shots in a stress situation. 6.0 to 7.0: The 6.0 and up player typically has had intensive training for national tournament competition at the junior and collegiate levels and has obtained a sectional and/or national ranking. The 7.0 is a world-class player. Seek out a level-based tennis partner community. 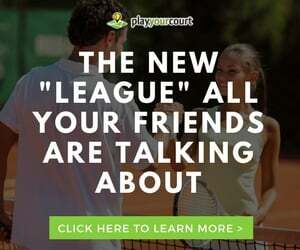 PlayYourCourt’s tennis league and tennis partner finder matches you with players near you that are at your skill level. You can choose doubles or singles players, and set up tennis matches near you at convenient times. Review your matches with your new tennis partners for compatibility. Discuss the scores, how the points were won, and how you generally felt during the matches. Did you feel challenged, or like you were giving instruction to them? This could be an indicator that you are playing with players that may not be up to your level of play quite yet. Conversely, did you notice frustration from the other players at your tennis skills? If so, you may need to level down. We hope you found this tennis player finder guide useful! If you are seeking tennis lessons or ready to find local tennis partners, PlayYourCourt is here for you.